Again, this is a novelty item, but what I found curious about the method I'll discuss is that it was actually easier for me than the double deal using the same method. Referring as usual to the original procedure for visual retention dealing, this deal differs in the fact that initially you will push-off three cards. You will then obtain a break under the bottom two and square them up (methods described previously) while you pivot the top card onto the right edge of the deck. 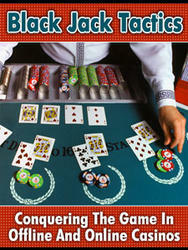 Bring your hand up rapidly as you would for a normal visual retention deal; twist your wrist slightly, counter clockwise. 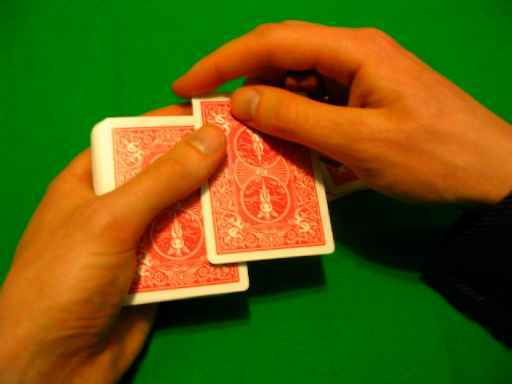 As you do, when you reach roughly the high point in the motion, release your break and move your hand out of the way, returning the top card to the face of the deck. I realize this description may not make a lot of sense, however again, due to the impractical nature of this deal, combined with the uselessly of the concept, I'm not going to elaborate at this time, but rather expound on the more important deals.